I accidentally deleted voicemail on my iPhone X last night. I have no backup of the deleted voicemail file. 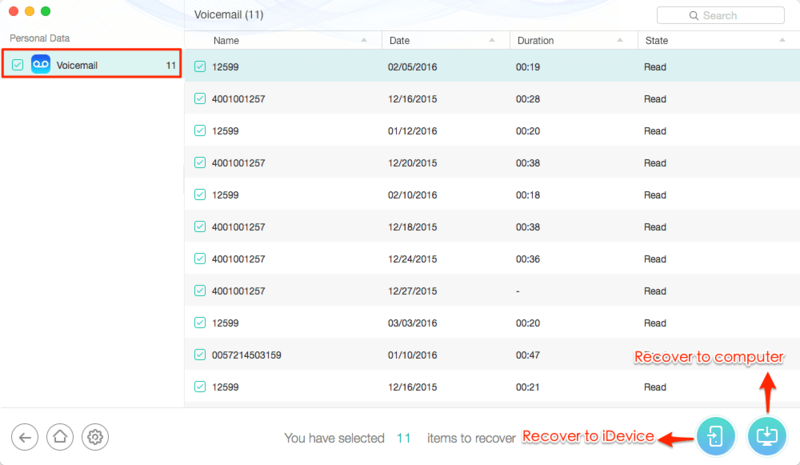 Can you retrieve deleted voicemail? Above situation is not a rare issue. Actually, besides accidental deletion, there are various kinds of reasons can easily lead to voicemail loss on iPhone, such as iPhone lost/damage/corruption, iOS upgrade failure, restore/sync error, etc. On such occasions, how can you retrieve deleted voicemail? Worry not. Your deleted voicemail can be recovered without effort, as long as they have not been overwritten by new data on your iPhone. All you need to do is act fast and get them back as soon as possible. 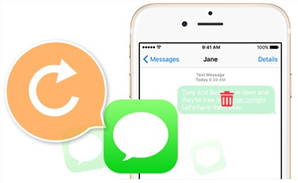 And in the following guide, we will show you how to retrieve deleted voicemail on iPhone, 4 simple methods will be offered here. 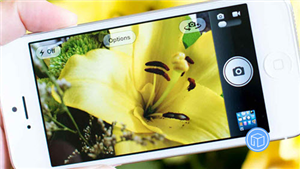 Below methods can be performed on all iPhone models, iPhone 7/8/X/6s/6/XS/XR. 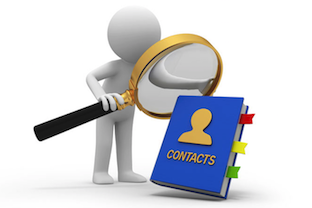 PhoneRescue can help you recover lots of data like voicemail, contacts, notes, messages, photos, videos, etc. 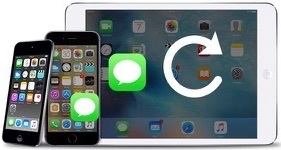 You can still recover deleted voicemail on iPhone even if you have no backup. Just give it a try now. It is worth mentioning that this method will only be available if you have recently deleted some voicemail from your iPhone. Step 2 Now preview the voicemail messages that you have recently deleted. If you’d like to retrieve a message, select it and then tap on “Undelete.” You can also click the Clear All button to permanently remove all voicemails. 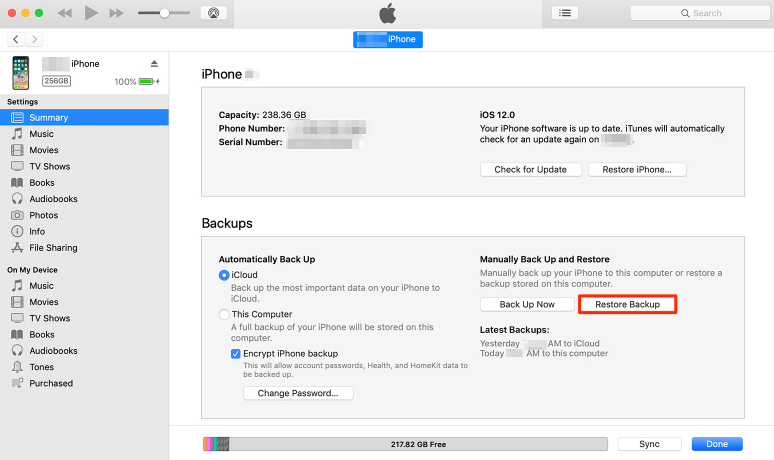 If you have backed up your iPhone to iTunes before losing voicemail, then follow the below steps to get your deleted voicemail back from the iTunes backup. But this way needs you to erase all existing data on your iPhone before recovering and you can’t restore only voicemail. The files on your iPhone will be replaced with the iTunes backup files. Step 1 Launch iTunes on your computer and connect your iPhone > Click on the device icon and then on “Summary”. Step 2 Click on “Restore Backup” option > Select the backup that you want to have restored from the drop-down menu > Click “Restore” and after a few minutes, the backup will be restored. 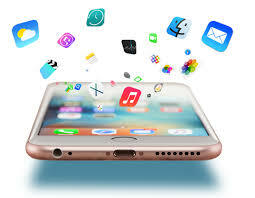 Restoring voicemail with iCloud is just the same as restoring with iTunes, you have to wipe all data and settings on your iPhone firstly, and these erased files can’t be recovered anymore. Also, it will be a bindly full restore, you can’t recover only deleted voicemail. So, if you are not sure the iCloud backup you made before do include the voicemail you deleted, this way is not recommended. Step 1 Go to “Settings > General > Reset” and tap on “Erase All Content and Settings” > Enter your iPhone’s passcode and your iPhone will now be wiped. 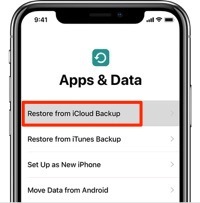 Step 2 Follow the setup steps and tap on “Restore from iCloud Backup” > Sign into your iCloud account >Tap on the backup that you want to restore. 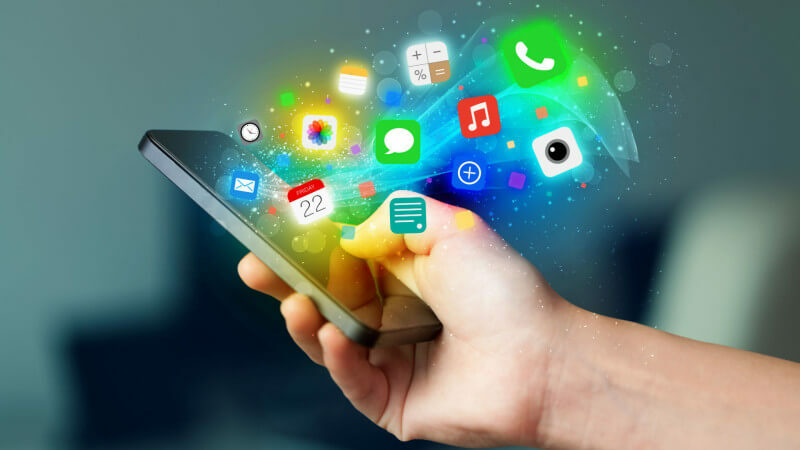 If all above methods fail to help you recover your deleted voicemail, then there’s the last possibility for you to get them back – by using PhoneRescue for iOS. 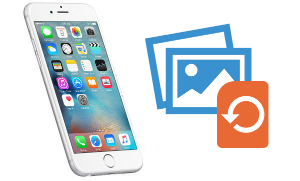 PhoneRescue for iOS is recognised as the best iPhone data recovery software in the market, as it has helped over millions of iPhone iPad iPod users retrieve deleted files successfully, including voicemail. More than anything, with PhoneRescue for iOS, you can recover only deleted voicemail and selectively retrieve the one(s) you prefer. There’s no need to erase any existing data on your iPhone before recovering, no blindly full restore. All your data will be kept 100% safe. 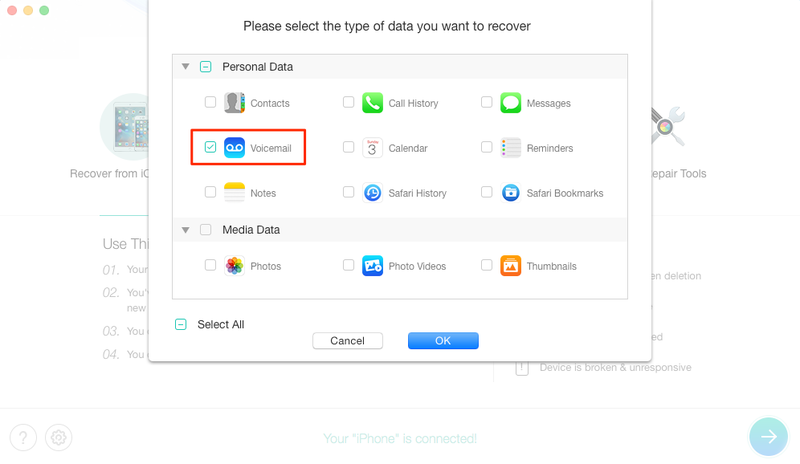 To ensure you can get all wanted files back, PhoneRescue offers 3 different recovery modes, from iPhone directly (without any backup), from iTunes backup and from iCloud backup. No matter you have backup or not, your deleted data can be recovered easily. Now, let’s see how to retrieve deleted voicemail on iPhone without Backup. 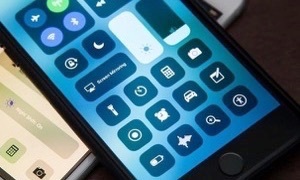 Step 1 Free Download PhoneRescue for iOS on your computer > Open it. 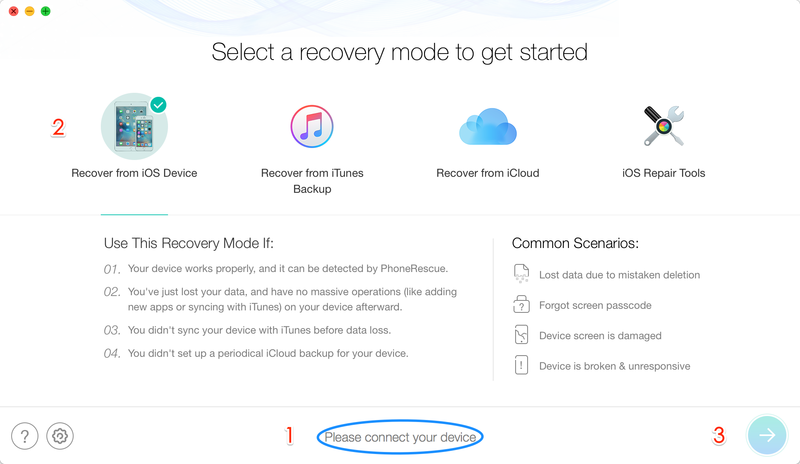 Step 2 Connect your iPhone to computer > Click on Recover from iOS Device mode > Click on Right Arrow to continue. Step 3 By default, all categories will be selected. Please uncheck Select All option and then choose Voicemail > Click OK to start scanning. Step 4 Preview and choose the voicemails you want to retrieve > Click Recover to iDevice or Recover to Computer button to get them back now. 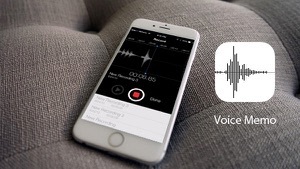 That’s all about how to retrieve deleted voicemail on iPhone. Hope you have recovered wanted voicemail successfully with above methods. 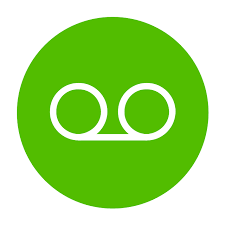 Actually, besides voicemail, PhoneRescue also supports recovering deleted photos, messages, voice memos, contacts, notes, call history, videos, etc. For any questions you have on this guide or PhoneRescue, please feel free to contact us via Email or leave a comment in the below section.